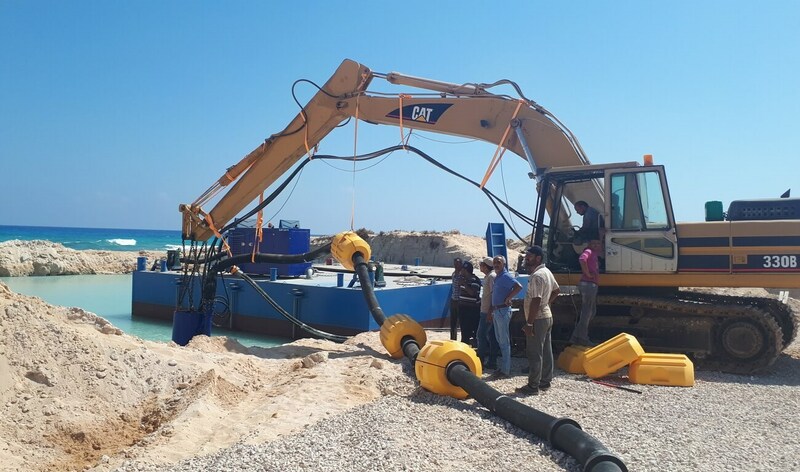 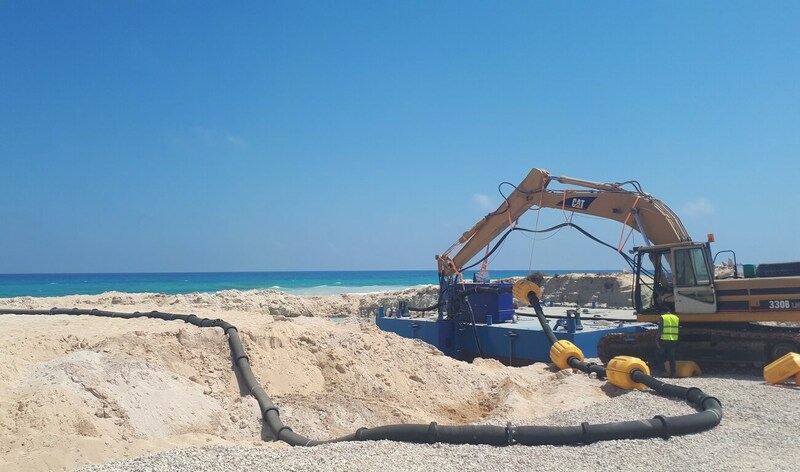 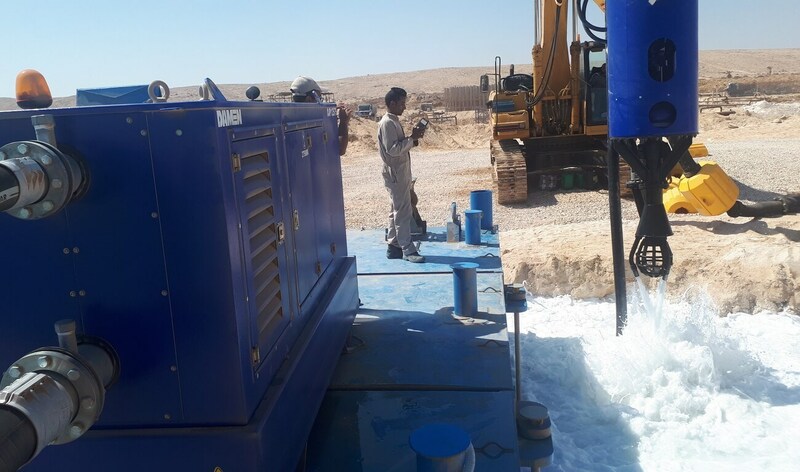 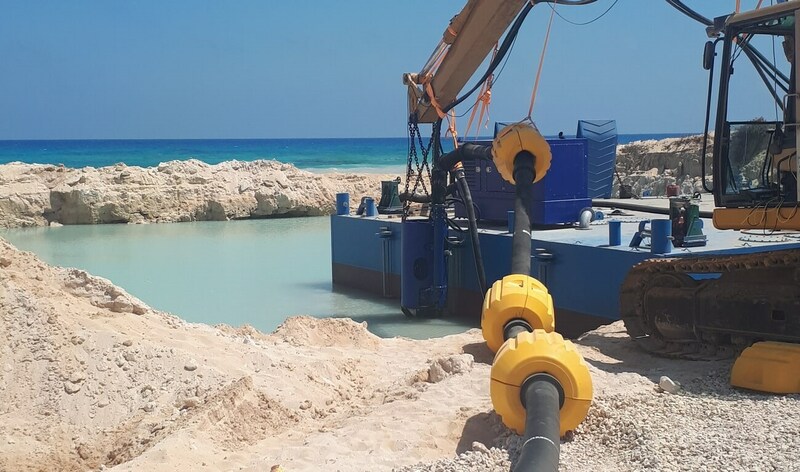 A complete DOP dredge package has been delivered to TAM environmental Services in Egypt for the construction of a sea water inlet of a desalination plant. 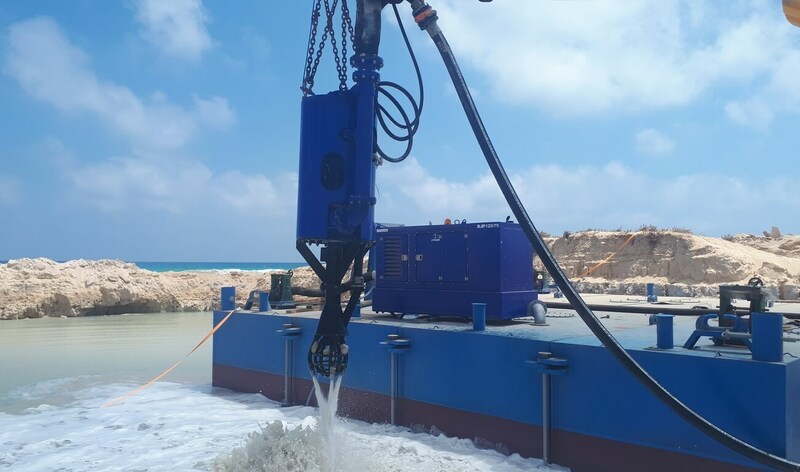 The packages included a DOP150 submersible dredge pump, a jet water pack for supplying pressurised jet water to the mining head, dredged mixture hoses, jet water hoses as well as hydraulic hoses. 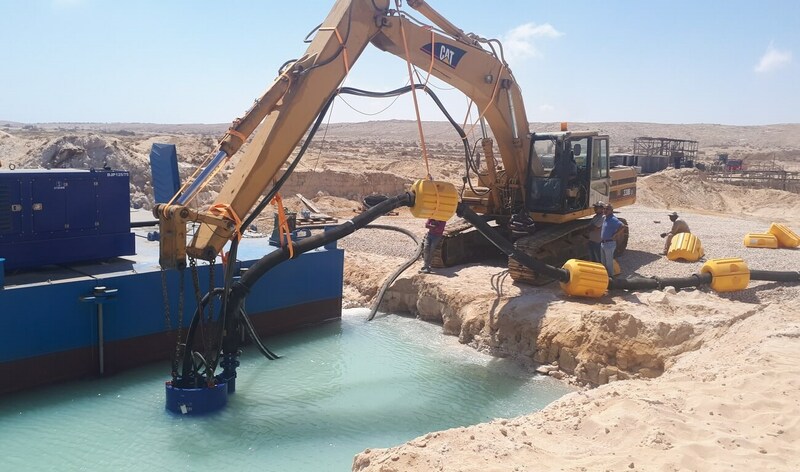 To complete the job 3 types of drag heads were included, being a mining head, a bed leveler as well as a hydraulically powered cutter unit.